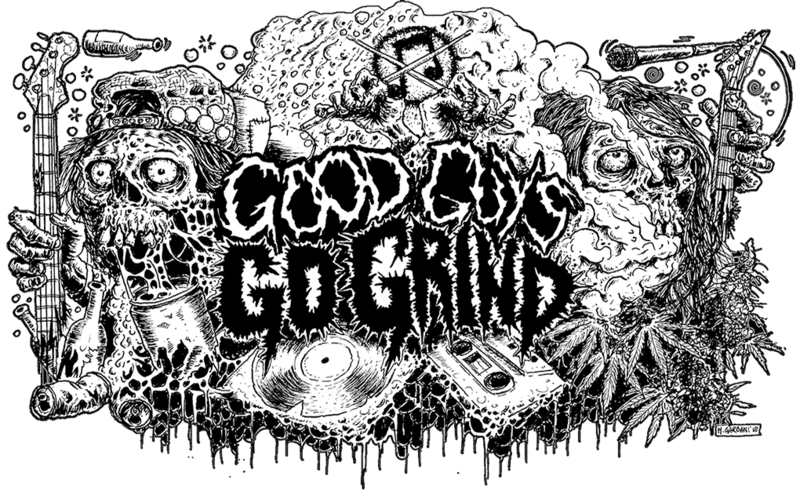 What could you expect from two grind bands which are located at diferentes continents? Of course you will be expecting some powerful noise and that is only logical. But, what if these bands know each other? 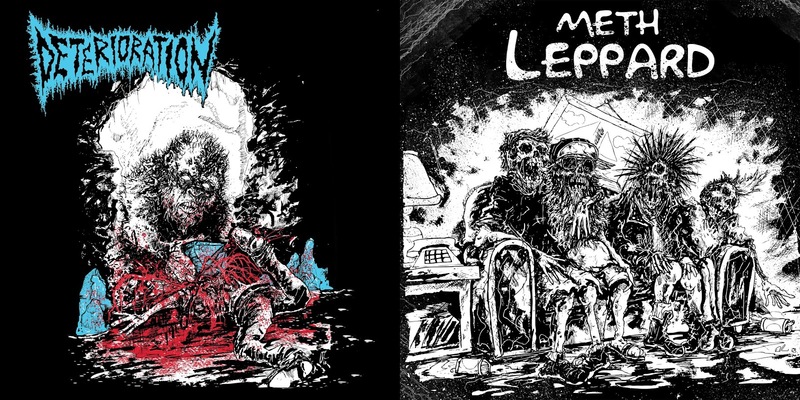 With no doubt they will do a split Todays heroes are Meth Leppard from Australian and Deterioration from the USA. I bet you all know these guys, and many of you have shared a beer with them during their tours… Awesome guys and bands, let’s find out what have they recorded in their basements. So according to marks on this vinyl, we should play the Deterioration side first. Wtf was that? It`s pure insanity… without any warning, it’s just a fast killing punch into the face. I must say it was painful, haha! As usual, Deterioration has a bit of a muddy sound but a crazy load of power. The blast beats parts sound like machine gun fire, guitar is heavy and the riffs are short. That what I wanted to heard from these fuckers, I’m glad that they managed to record such mad noise like that. Side B. My old Australian friends came up with 5 robust tracks. I must say that they coped well with this grindcore deal. You won’t hear anything radically new, but you also won’t hear any weak material. They are sticking to their own style (and that is good thing). Bloody dangerous speed, recognizable guitar sound and tons of blast beats. Twisting moments between blast parts making this noise spicier and more diverse. Meth Leppard is a pure drilling machine and they will make a hole in your skull with their grindcore! Previous Previous post: Ona Snop vinyl version! Next Next post: Puke Fest!